Pitman Training Galway, the leading provider of training courses, professional development and new careers in the West of Ireland. Pitman Training Centre in Galway boasts a wide range of courses that are essential for the contemporary workplace. Develop and perfect skills in Administration, Finance or IT and Computing within a relaxed and friendly atmosphere that provides you with flexible hours in which to study. Whether you have recently left college, returning to work from a long absence or changing career, Pitman Training has got the time and support you need to progress. 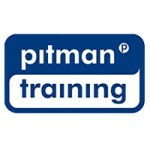 Pitman Training is also available for current staff, who are looking to expand their potential within their job. The flexible delivery of Pitman Training allows you to study at a time to suit you – with specialist training supervisors on hand to assist should you need their help.